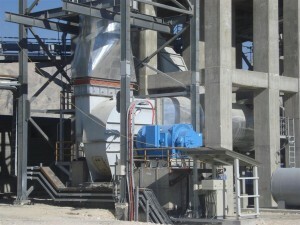 Fan plays an important role in influencing the overall economy of many process plants. ShayanTarh extensive experience in the application of fans of all sizes means a lead to suit the performance characteristics and materials appropriate to your needs. Fans in the cement industry usually have to handle large gas volumes as well as high pressure, high temperatures and high dust loading. ShayanTarh continuing research has yielded experiences to select fans to handle these problems including: Improved hard facings and wear liners, Improved protection against material build up, Dust handling capacities up to 100 g/m³, Temperature capabilities up to 450ºc.